Pappy reviews the Eastwood Airline ’59 Customer 3P guitar. 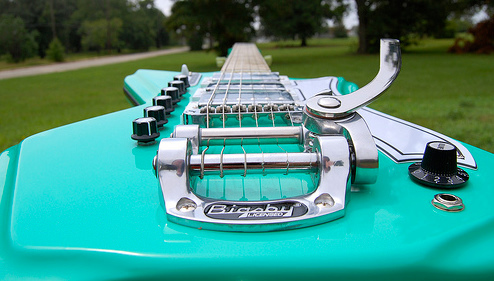 Check out what Pappy thought of this crazy-cool guitar. Here’s a hint: The guitar wins the first ever Bliss Pick award. Plus, Pipes, PT and Pappy all review the behind the scenes documentary Tom Anderson Guitarworks by Music PRO Media. The Bliss gets an iPhone app! Pappy reviews the Eastwood Airline ’59 Customer 3P guitar. Check out what Pappy thought of this crazy-cool guitar. Here’s a hint: The guitar wins the first ever Bliss Pick award. Check out the latest poll at www.sixstringbliss.com and cast your vote! PT talks about the King of Kong documentary… yes, again.